Wittenborg Online: Healthcare in the Region - those receiving care will not only be 'charged' but also 'be in charge' of what care they receive. 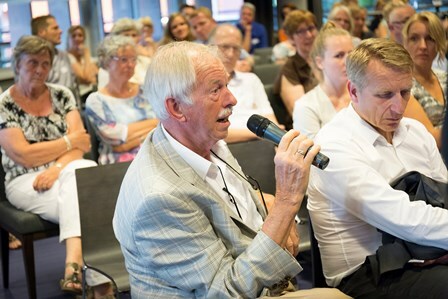 Yesterday's seminar on the future of health care in the region, held at Wittenborg University, was very well attended; at least 80 people and listened to the results of a preliminary paper on a survey conducted at De Goede Zorg, a Dutch health care provider. Important results from the research that was done were presented and discussed. All those present, researchers and those with hands-on experience, agreed that health care (client) must be patient-centered. Guus van Montfort, president of ACTIZ, took this idea further by stating that those receiving care will not only be 'charged' but also 'be in charge' of what care they receive. Among other topics discussed were leadership in self-organising teams, and working together with other organisations while competition is increasing. 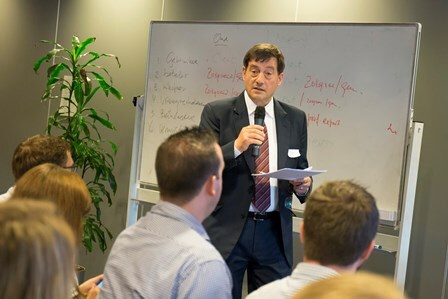 Event chair, Wittenborg University's Dr. Teun Wolters led the evening to discuss the practical implications of this, where organisations and those working in them will have to overturn the way they work, transitioning from top-down policies to bottom-up. A large change will be necessary to achieve this. For many, his speech was a sort of eye opener. The client will be more and more in charge, as the one who directs, chooses and pays. This is an overriding development, stronger than whatever government policy. After lively discussions in small groups (they were asked to discuss what for De Goede Zorg were crucial things to do and not to do), there was an animated interchange with the panel. Among the topics discussed were leadership in self-organising teams, and working together with other organisations while competition is increasing. The event was lively with much audience participation. The atmosphere was positive and inspirational.